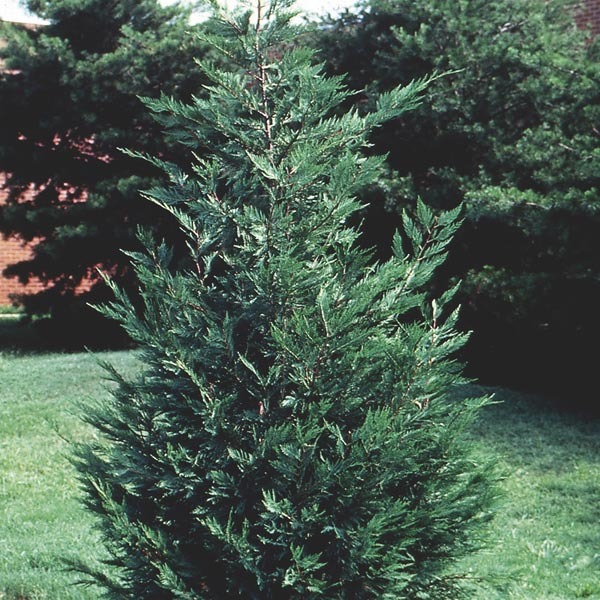 A gracefully elegant evergreen with a very columnar form and a quick growth rate. Foliage color ranges, among the different named varieties, from deep green to gray-green to yellow-green. Excellent as a vertical element in mixed shrub plantings. Also known as x Cupressocyparis leylandii. Provides instant form and structure to the landscape. Makes a breathtaking specimen plant. Great for privacy screening or blocking unsightly views. Best for large scale landscapes. Very easy to grow in virtually any location. Adapts well to a range of soils with excellent drainage. Water regularly until established. Prune when dormant, in late autumn or late winter.